Architecture is one of those fields that cannot fulfill its agenda by itself. For architecture to become reality, not only do we (architects) often collaborate on designs, but we then need engineers, contractors, consultants, etc. to bring our work to life. This is sometimes painful, full of conflicts that can make the construction phase the least anticipated stage of a project, only made palatable by the fact that said project will soon become reality. So imagine my shock when I recently realized that collaborating with the builders, artisans and contractors on our projects in Niger is becoming one of my favorite aspect of architecture practice! 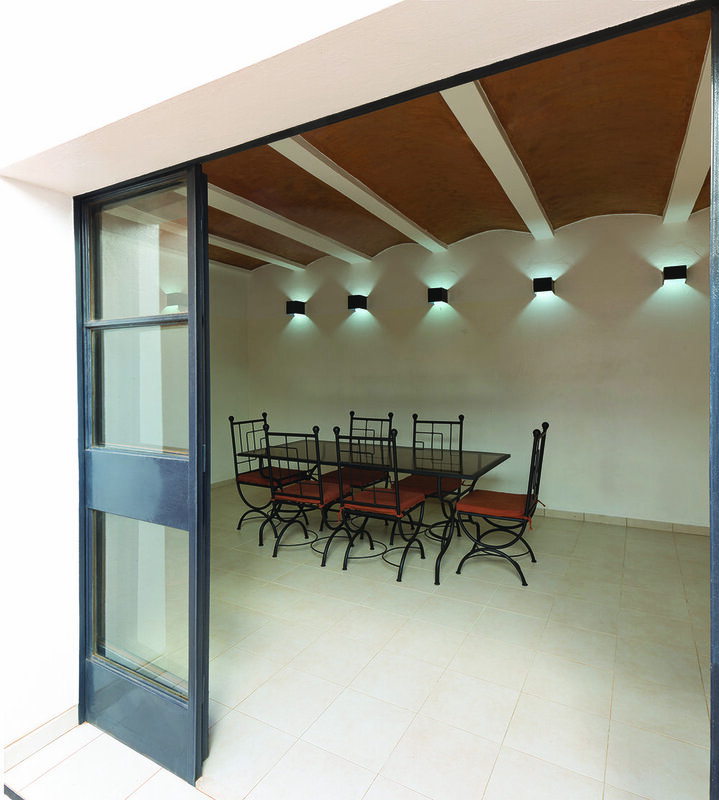 Whenever we work on a project, our aim is to lend on a contemporary solution that is anchored in the local context. You could even say we are "hyperlocal" about it since everything we use in our project is sourced locally and uses local expertise. This means that our projects are entirely dependent on local teams of engineers, contractors, masons, vendors, artisans, etc, to be brought to life. These collaborations have grown to be the key to producing an architecture that does not blindly reproduce so-called modern archetypes from elsewhere, but looks for its own identity. In many African countries, we often complain about the lack of a skilled labor force in the construction field. For those of us who were trained in the global North, it is easy to get frustrated because things are not how we expect the to be. Consequently, a constant struggle has been figuring out how to find the right local people for our projects. When we conceived our first project using each bricks in Niger, the challenge was evidently finding the right contractor for the job. There had been a few projects in Niamey that sought to highlight the value of Earth Architecture. They were being financed by NGOs or private investors, so we looked them up to gage the quality of the work. We found projects we liked and asked around to find out who was the contractor for the job, and wether the clients would recommend them. With those simple steps, we hired our Niamey2000 contractor (pictured above), and it has been a most rewarding collaboration. It turned out that through his exposure to earth techniques in previous projects, he was fast becoming an ardent proponent of projects that used it, leading us to be in perfect alignment of thought and ethos. A while later, we needed custom-made doors and light fixtures because we couldn't find what we needed on the market place. We received a recommendation for a metal-worker in Niamey that was supposed to be the best. Now, keep in mind that metal work is something of a science in Niger and other countries like it. We recycle iron and steel endlessly, turning scraps into structural profiles, windows, doors, or side-road shacks for commerce. So our expectations were high, though there was some trepidation about how well they could fabricate what we designed. I made some CAD drawings and details and measurements, sat with him for 30mins, and two days later we had a beautifully crafted door installed on site! It was like magic. Somewhere along the way, the project became something of a playground. Through the stress and late schedules, we all were learning to work together. I was learning to adjust my expectations and they were learning to appreciate the goals of the project and adapt to the more rigorous expectations. By the time we were done, our contractor was probably as excited about the finished work and the mission of the project as we and the clients were. His team of masons had new skills that made them even more marketable and a project they could point to with pride and a sense of ownership that took me by surprise. Another issue is that traditional masons have lost a lot of their know-how, and have been quickly abandoning earth work and other building techniques in favor of concrete/cement work. This means earthen buildings fall in disrepair or collapse, further reinforcing the negative stigma that presents the material as unreliable and "un-modern". In general, the lack of official standards that govern quality levels, creates a situation where anything goes and buildings that have severe structural instabilities and sometimes catastrophic failures are common, even in the capital. While I am not necessarily pro stringent building codes, we are in a situation where the total lack of them (expect in structural engineering) makes knowledge acquisition and good training optional. That is obviously unacceptable. As architects working in this context, we can have a role to play in order to make sound projects that maintain higher standards, but remain nimble. During our projects, we often make prototypes in order to teach the masons how some of our details should be built. That has been a vastly enriching exchange as well and has contributed to creating deeper ties between us for a more trusting working environment. In partnership with our contractor, we have also found experts that could provide them with further training in order to reach the higher building and safety standards we required. This type of approach has allowed us to leverage the amazing speed with which designs and customizations could be produced and implemented, while achieving a higher level of quality. The process has definitely made us look forward to the construction phases of our projects rather than cringing through them. The lead engineer (in beige) on the Niamey 2000 project during one of our open houses for project. Image by Torsten Seidel.